UBC School of Architecture and Landscape Architecture (SALA) contributes significantly to the dialogue, education, research and innovation within the architecture and landscape architecture professions and plays a positive role at UBC. The SALA Lecture Series invites international designers across the world to speak at the school. The poster captures the construction and deconstruction of form when opening. "Modern design done well: This poster is a great example of the kind of design that requires a lot of work and thought, but does not stand out as heavily designed in the finished product. 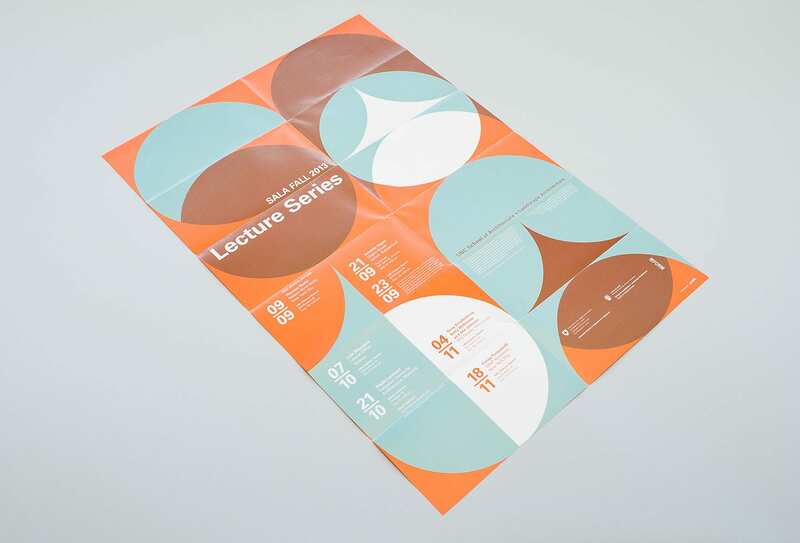 The project was pulled off using only two PMS colors, and as the poster unfolds each “frame” presents information about the lecturers amidst geometric construction and deconstruction of form. 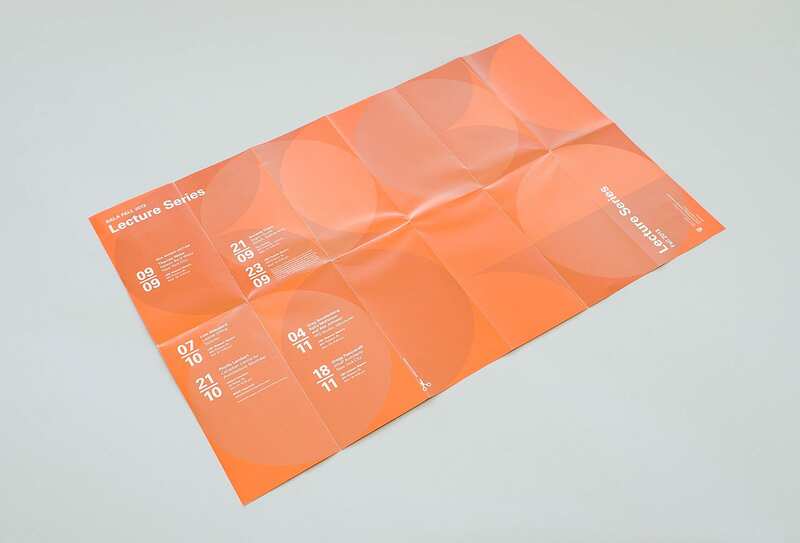 The posters are attractive, useful, and economical, and the designers made it look easy."